Instant Pot Chicken Breasts are tender, juicy and very tasty. Cooked from fresh or frozen chicken, these delicious pressure cooker chicken breasts are easy to make and ready in minutes! I absolutely love my Instant Pot. It is such a time saver and always comes to the rescue when I need to make a homemade meal in no time! 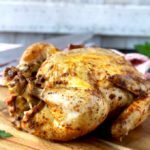 Two of my go-to-recipes are this Instant Pot Chicken Breasts recipe and my Pressure Cooker Whole Chicken “Rotisserie Style”. Both recipes allow me to have a delicious, quick and easy meal plus some leftovers to make lunches or prep a meal for the week. Win Win!! 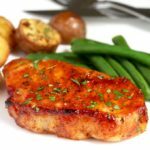 How To Cook Chicken Breasts in the Instant Pot? 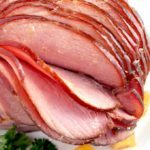 How Long Does it Take for the Instant Pot to Come to Pressure? What To Do If Your Chicken is Under Cooked? 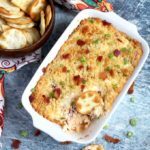 How To Cook Frozen Chicken Breast in the Instant Pot? How Long To Cook Chicken Breasts in the Pressure Cooker? 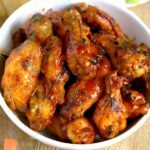 What To do with your Instant Pot Chicken? 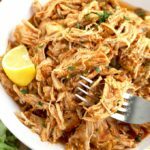 Can I Freeze the Instant Pot Shredded Chicken? In this recipe, boneless skinless chicken breasts are cooked in a flavorful broth that produces tender, flavorful and juicy chicken. Chicken breast cooked in liquid is called “poached chicken”. Basic poached chicken breasts are incredibly versatile and can be used in a variety of dishes like salads, casseroles, sandwiches, pasta dishes and more! Always cook the chicken in broth. Chicken broth gives the chicken extra flavor. Don’t discard the broth left in the pressure cooker. This enhanced broth is full of flavor. You can use it for making sauces, gravy or to add to soups. If you are not going to use the broth right away, freeze it for later. I like to cook the chicken with garlic cloves and fresh thyme to add even more flavor! If you don’t have fresh herbs, don’t worry. You can either skip it or add about 1/4 teaspoon of dried herbs. Place the chicken breasts in the inner pot of your Instant Pot. Add the chicken broth, peeled garlic cloves, salt and herbs if using. Close the lid and set the pressure valve to sealing. Once done, let the pressure release naturally for 5 minutes and then do a quick release. Open the lid. Remove the chicken from the Instant Pot and let it rest for 5 minutes. Shred. This seems to vary depending on the type/size of pressure cooker you have. For fresh/ thawed out chicken my IP took a bit less that 10 minute to come to pressure. When cooking frozen chicken breasts, the pressure cooker will take longer to come to pressure, about 12 minutes. Chicken should reach an internal temperature of 165 degrees Fahrenheit before its consumed. Check the temperature with an instant read thermometer. If the temperature is 160 degrees Fahrenheit (or above that temperature), you can remove the chicken and let it rest, covered for 5 minutes. The chicken will reach 165 degrees while resting. If the chicken is below 160 degrees, close the lid, set the pressure valve to sealing and cook on high pressure for 2 to 5 minutes. Do a quick release. Check the temperature before eating! (we want to be on the safe side when it comes to chicken!). To cook frozen chicken breasts successfully in the instapot, your chicken must be “IQF” (Individually Quick Frozen) A big cube of frozen chicken stuck together won’t cook evenly. Place the frozen chicken breasts in the inner pot of your Instant Pot. Add the chicken broth, peeled garlic cloves, salt and herbs, if using. Although this recipe is made with 3 pounds of chicken, cooking times will vary depending on the size of each chicken breast. I must admit that when cooking chicken breasts from frozen, I usually set the timer between 10 – 12 minutes and the chicken seems to always turn out perfect! 6 OUNCES: Cook on high pressure for 6 minutes. 8 OUNCES: Cook on high pressure for 8 minutes. 10 OUNCES: Cook on high pressure for 10 minutes. 6 OUNCES: Cook in high pressure for 10 minutes. 8 OUNCES: Cook on high pressure for 12 minutes. 10 OUNCES: Cook on high pressure for 13 minutes. WHAT TO DO WITH YOUR IP CHICKEN? Serve it whole or sliced with a sauce. Cut it into bite size pieces or slices to top salads or to use it for quesadillas or pasta dishes. CAN I FREEZE INSTANT POT SHREDDED CHICKEN? Absolutely! Shredded chicken thaws quickly which is always a plus. Freeze the pressure cooker chicken in smaller portions. About a cup of shredded IP chicken is a good portion size. You can freeze the chicken with some of the broth also. Use freezer bags to prevent the food from getting freezer burnt. Smaller portions can be added to soups without thawing. Keep the chicken refrigerated for up to 3 days. If your Pressure Cooker doesn’t have a “POULTRY” function/button, do not panic! Use the manual setting on high pressure. You need 1 cup of cooking liquid in the instant pot so it can get to pressure. If you are sensitive to salt, use low sodium chicken broth and skip the salt. WANT TO TRY THESE INSTANT POT CHICKEN BREASTS? 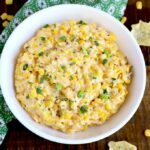 PIN IT TO YOUR CHICKEN, INSTANT POT OR DINNER BOARD TO MAKE IT LATER!! Place the chicken breasts in the inner pot of your Instant Pot. Add the chicken broth, peeled garlic cloves, thyme and salt. Close the lid and set the pressure valve to sealing. Cook on high pressure for 6 minutes. At this point you can use the instant pot shredded chicken, cool it and store it in the refrigerator for up to 3 days, or place it back into the instant pot and allow it to absorb some of the broth before serving. You can use any fresh herbs like sage, or rosemary. These herbs have a stronger flavor than thyme. You can also use dried herbs. Use 1/4 teaspoon of the dried herb of your choice. COOKING TIME: The cooking time does not include the time your pressure cooker needs to come to pressure or the natural release time of 5 minutes. Please plan accordingly. FINALLY, thank goodness there is a dependable resource for this. 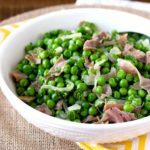 I love your tried and true recipes, I’ve made several of them and they always come out amazing. Thank you for the time you put into testing, photographing and writing this!! I’m bookmarking and pinning for future reference and to share with friends! 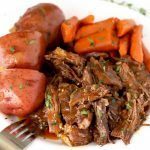 I’ve had my instant pot for a year and am just starting to use it and love it! I love recipes like this one and can think of a ton of ways to use chicken like this. Chicken breasts are so economical and a healthy source of protein, Having them done in a jiffy leaves me no excuses for not cooking! Thank you! Yes! this is such a versatile recipe. You can made so many healthy meals from it. The tips on the changing amounts is so helpful. Although you showed me so many good recipes to use it in, I kind of want to make a HUGE batch of chicken! Thanks for the tips for frozen chicken too. I love how quick I can get a meal together when I use an IP, but never thought it would be ok to use frozen chicken. Another time saver since I don’t always plan in advance. I need to give this a try ASAP! I love how flexible this recipe is! Yes it is! And a time saver! I have cooked chicken breasts similar to this in my crockpot for years, but I never thought to use my IP! Thanks for reminding me how easy it makes my life! Wow this looks so easy! I love the easy instructions – Im new to instant pot fun, but can’t wait to try more recipes! Now I need an instant pot for sure! I buy all my chicken in bulk when it goes on sale because we eat so much of it. We use it in quesadillas, soups, and most certainly tacos! All your tips and tricks for keeping it moist and also being able to start from frozen and not having to thaw them out is genius! Thank you!